Work- life balance is essential to combat stress, ensuring both individual and company success. The stress associated with unbalanced lifestyles is costly; it damages productivity and increases individual health risks. Employees who have the tools to balance their professional and personal lives are happier, healthier, and more productive. In addition to improving performance, many younger employees place a high value on work-life balance. Companies that include work-life balance as part of their culture will be able to better attract qualified candidates. Looking for a workshop on improving your time management? We run instructor-led Time Management classes in Chicago and Los Angeles. To sign-up for a fun and informative day call us on 888.815.0604. Understanding the benefits of a healthy balanced life will motivate anyone to make necessary changes. Balance will improve the lives of individual employees as well as the company culture. Learning the basics of work-life balance will also increase employee productivity, health, and morale. A healthy balance between work and home should be a priority for everyone. Implementing proper work-life balance offers many important benefits. There are, however, many hazards linked with an unbalanced work and home life. Poor health: Working long hours without taking time to relax will take its toll on health. Unresolved conflict: A lack of balance can create conflicts at work and at home. Poor performance: Taking on too much responsibility will lead to exhaustion and cause performance to suffer. Financial loss: The impact on health and productivity takes a financial toll on both individual employees and organizations. Fulfillment: People who successfully implement work life balance improve their sense of fulfillment at work and at home. Health: A healthy work life balance decreases the risk of heart disease and other health problems. Greater productivity: Being relaxed and well rested increases productivity and improves work performance. Stronger relationships: Personal and professional relationships are strengthened and conflicts are avoided when there is work life balance. While it may seem counterintuitive, work-life balance can actually increase productivity. While it is true that overtime will initially increase production, the surge only lasts a few weeks before taking a destructive toll on productivity. In fact, working long hours for an extended time period will lead to exhaustion and unhealthy habits that decrease productivity. Shorter work hours will actually increase productivity in the long-term. Additionally, studies show that people who take short, frequent breaks are more productive than people who only take a single break or work all day. Most people recommend taking a few minutes each hour to regroup. Take healthy breaks: You should take time to refresh yourself. Try stretching, walking, or meditating throughout the day. This will also improve your health and overall wellbeing. Take enjoyable breaks: A recent study by Don J.Q. Chen and Vivien K.G Lim of the National University of Singapore discovered that taking a few moments to surf the internet and mentally change gears actually increases productivity. This fun activity increases productivity by nine percent. Take time off: Working to the point of burnout is not productive or healthy. Do not lose vacation days, even if you have to spread them out. Studies show that people who take their vacations are much more productive than those who do not. Also see 15 time management apps and tools. It is common knowledge that stress is directly linked to different diseases. Numerous surveys have discovered that work is a leading cause of stress related illness and injury, such as stroke, heart disease, and mental breakdowns. A balanced life will improve both physical and mental health. Awareness: A balanced lifestyle increases personal awareness, allow individuals to identify potential health problems early. Lifestyle: A balanced lifestyle automatically improves health. It encourages healthy choices and helps develop the body and the mind. 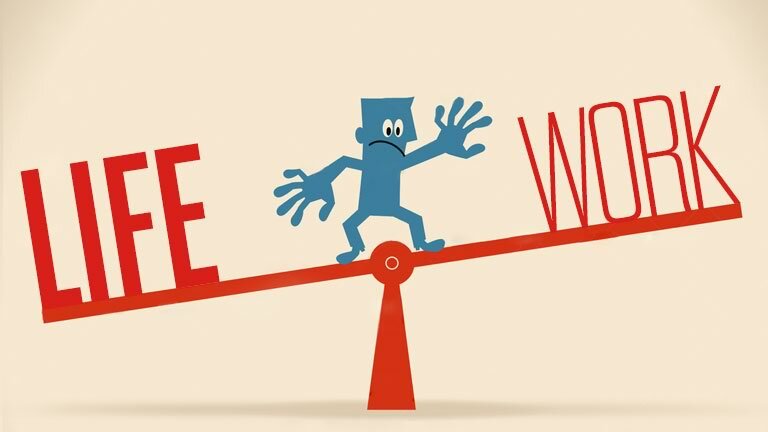 Work life balance is an effective tool to increase morale and improve company culture. Employees seek out companies that support healthy work life balance. The only factor more important than balance to job seekers is compensation. According to several surveys, work-life balance improves happiness and overall job satisfaction. Additionally, employees are more invested in companies that support their work-life balance. Work- life balance typically translates to employees who work harder and are more productive. Through our network of local trainers we deliver onsite effective Time Management right across the country. Obtain a quotation for onsite Time Management training. See what are past students are saying: Time Management class reviews.